Wearing red-and-black polka-dot wings, a red tutu, and antennas, Lulu is ready to play. 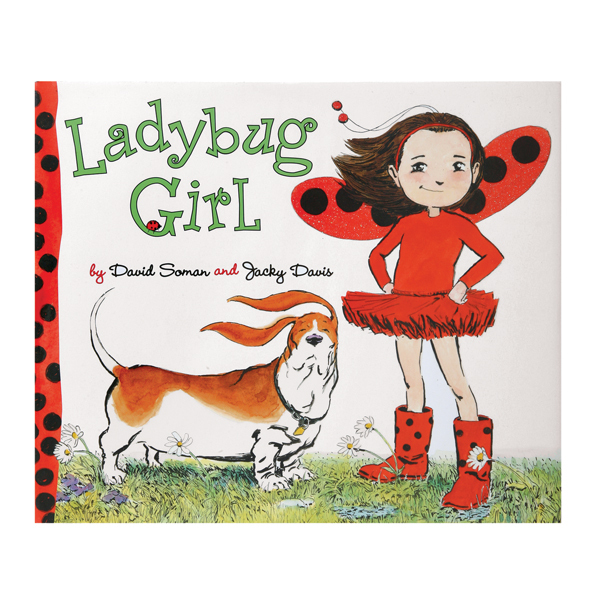 But her brother says she's too little, and Mama and Papa are busy, so Ladybug Girl makes her own fun. This cheerful story and its witty illustrations will inspire creativity, imagination, and self-confidence. Hardcover, 40 pages.